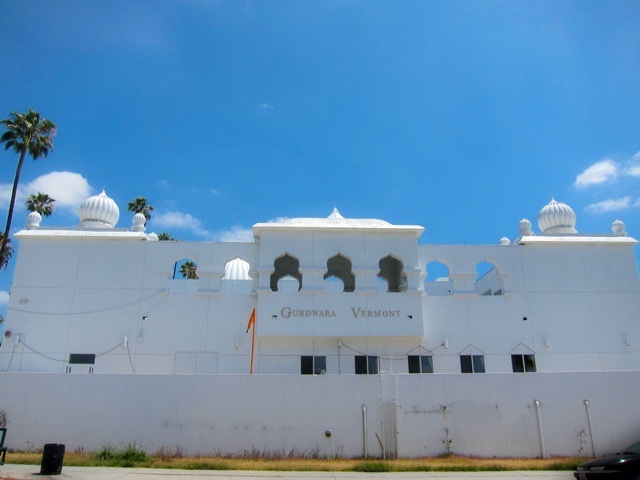 since i moved to l.a 5 years ago i’ve driven by ‘gurdwara vermont’ a few hundred times and been clueless as to what it is. 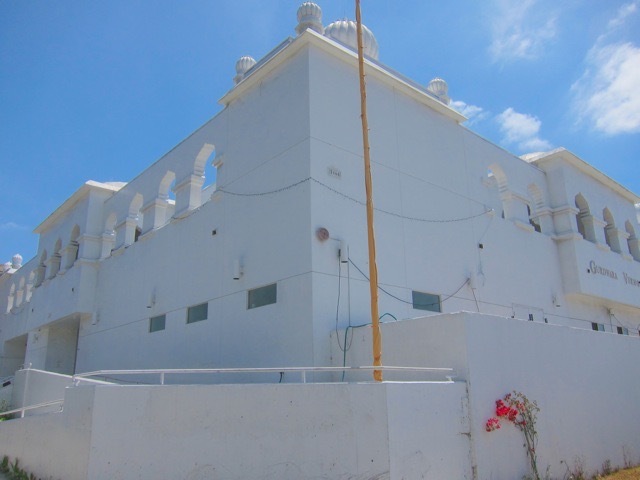 well, apart from a giant white temple, that much i could tell just from looking at. but now i know. 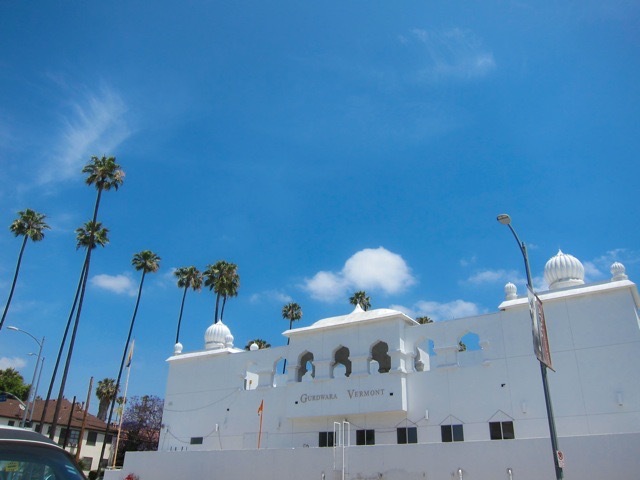 it’s where the sikh population in my neighborhood go to be sikhs. architecturally it’s a quintessentially l.a building in that it’s vaguely anomalous and beautiful and borrows from a different architectural traditions that were developed a few thousand miles away. plus it’s next to palm trees. 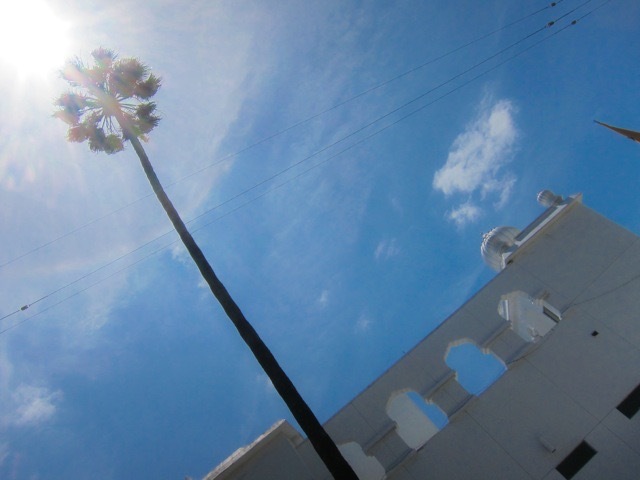 which is also quintessentially l.a, especially as 99% of palm trees aren’t native to l.a.
it makes me happy to know that people can move to l.a from places that are on the other side of the world, but still find community and familiarity in this weird and baffling suburban city.